At Google’s Marketing Next conference, the company is announcing a new beta for Google Attribution, a free tool for examining the role that different marketing strategies play in customer purchasing decisions. Regardless of device or marketing channel, Google wants Attribution to be a home for evaluating marketing campaigns. By creating a tight loop between strategy, ad spend and feedback, Google aims to make the tool attractive to marketers that feel last-click models don’t sufficiently explain customer behavior. A panacea for attribution is not a new construct in the world of marketing. Companies like Adobe and startups like BrightFunnel and Bizible have been developing tools for years that allow marketers to break the old last-click paradigm. “We capture the clicks, as long as there was a click, we can, for example, say how many of the conversations were from the social channel,” explained Babak Pahlavan, Google’s senior director of product management for analytics and measurement, in an interview. Google Attribution should offer marketers a clearer picture of their efforts to facilitate a more accurate cost-benefit analysis. We haven’t gotten our hands on Google Attribution yet so its hard to say how its performance stacks up against its peers. That said, Google doesn’t seem to be arguing that the tool’s superiority is a product of performance. Instead, Google is touting ease of use, copious integrations and zero cost (for some). The company does plan on charging for its enterprise pro deployment, but even so, Google’s scale is dangerous. 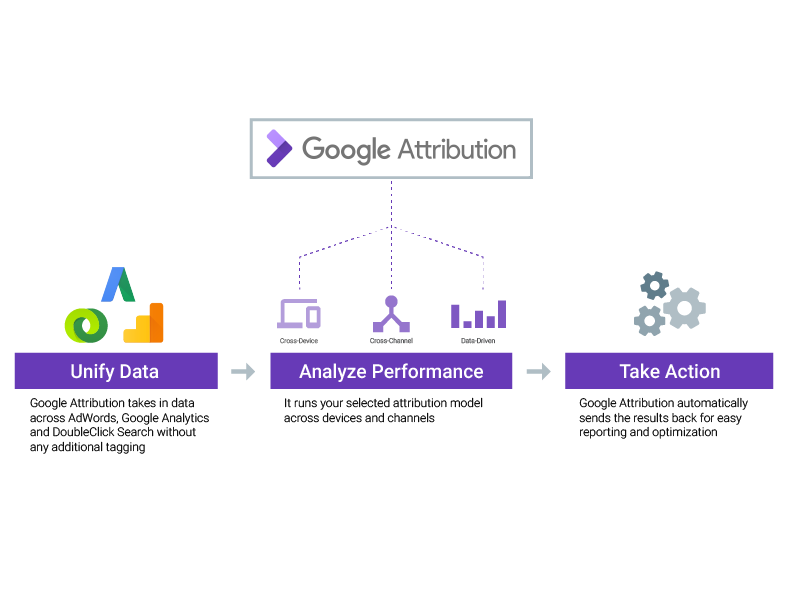 Google’s attribution efforts kicked into high gear back in 2014 when the company acquired Adometry, a startup specializing in measuring marketing impact. Adometry was quickly transformed into Attribution 360 and rolled out as part of Google’s Analytics 360 Suite. The last two years has been about rebuilding the tool on the Google stack and simplifying it, Pahlavan told me.